Born in Boston, Massachusetts on the 17th of January, 1706. 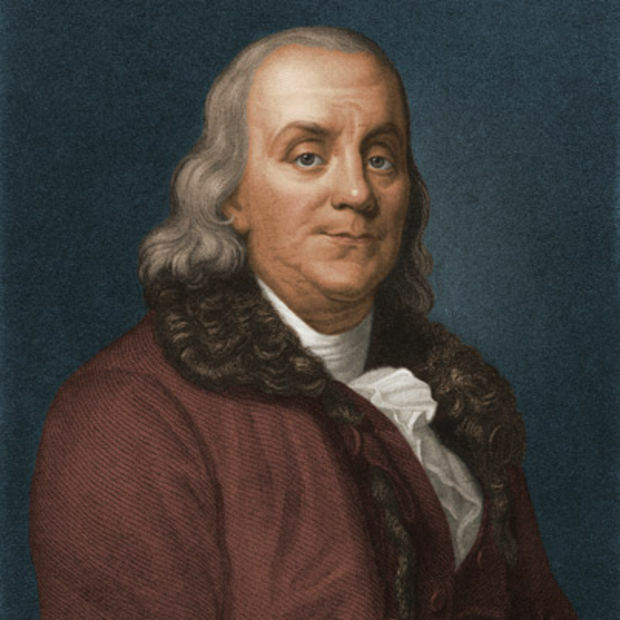 Benjamin Franklin assisted his father, a tallow chandler and soap boiler, in his business from 1716 to 1718. In 1718 young Franklin was apprenticed to his brother James, as a printer. Franklin ran away in 1723, heading for Philadelphia where he worked for the printer Sam Keimer. After traveling to London in 1724 to continue learning his trade as a journeyman printer, Franklin returned to Philadelphia in 1726. 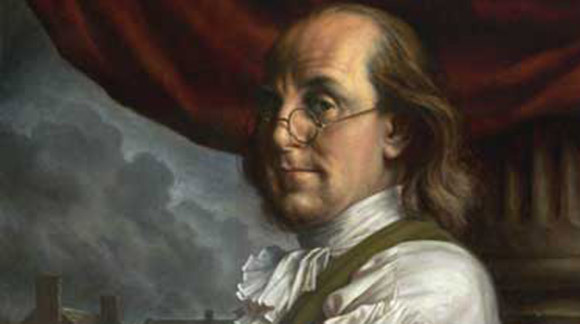 By 1730, Franklin established himself as an independent master printer. Franklin quickly became not only the most prominent printer in the colonies, but the man who shaped and defined colonial and revolutionary Philadelphia. As one who believed in the reasonableness of man and that the phenomena of nature should serve him, Franklin was greatly interested in the improvement of the condition of mankind. 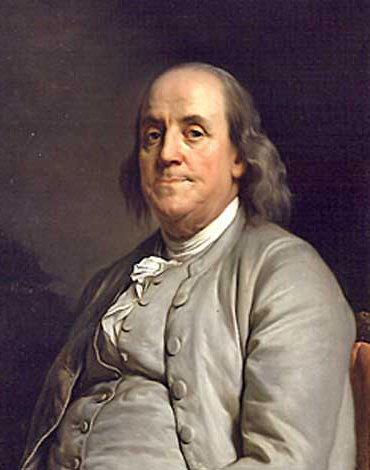 Benjamin Franklin was the center of the Junto, an elite group of intellectuals who were at the core of Philadelphia politics and cultural life for some time and who became the basis for the American Philosophical Society. He was also instrumental in the improvement of the lighting and paving of Philadelphia and in the organization of a police force, fire companies, Pennsylvania Hospital, the Library Company of Philadelphia, as well as the Academy and College of Philadelphia. 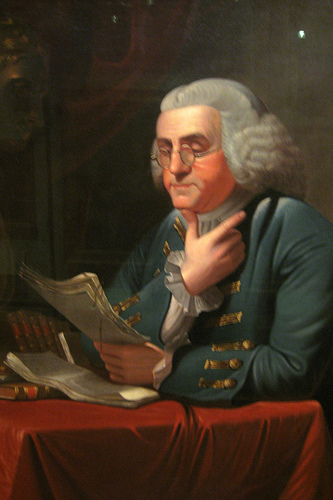 Franklin was the primary founder and shaper of the new institution which became the University of Pennsylvania. His 1749 Proposals Relating to the Education of Youth in Pensilvania were the basis of the Academy which opened two years later. Franklin was responsible for the hiring of William Smith as the first provost in 1754. 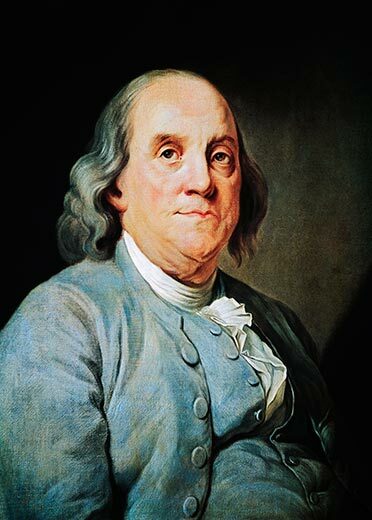 From 1749 to 1755 Benjamin Franklin was President of the Board of Trustees of the College, Academy and Charitable School of Philadelphia, and he continued as a trustee of the College and then of the University of the State of Pennsylvania until his death in 1790. For most of this period he served as an elected trustee; but from 1785-1788 while President of Pennsylvania’s Supreme Executive Council (the equivalent of governor), Franklin was an ex-officio trustee. Ejercicio de inglés 68. Adverbios. Adverbs. Test online sesenta y ocho de Inglés. Ejercicios de español con soluciones. EJERCICIO 50. Spanish exercises with answers. übungen grammatik spanisch Online.